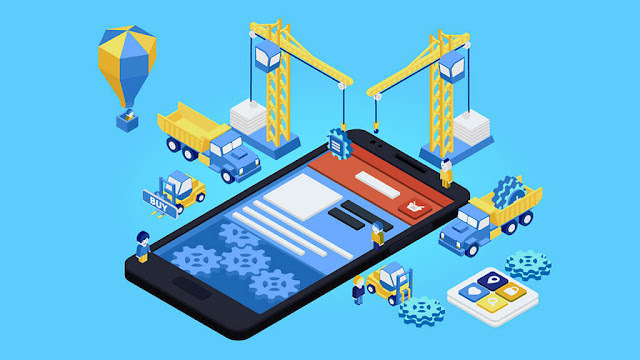 In case you have a small business and you have not built a mobile app for your business then you definitely need to get developed one. Nowadays, having an online presence alone is no longer enough, since online activities continue to shift to the smartphone. To put it in simple terms, mobile device apps have become too essential a marketing medium for entrepreneurs of small business to do without. From the past decade, the usage of mobile devices has been increasing at a faster pace. Almost 3/4th of smartphone users in America check their mobile devices at least twice per hour, according to a survey by Gallup. This means, nearly 90% of the smartphone time is now completely dedicated to utilizing applications, the study says. Not just Americans, but people around the globe now spend time checking at their smartphones than doing something else. This growth in smartphone usage indicates that mobile phone applications have indeed become an important marketing tool for organizations of all sizes, comprising small businesses. Mobile apps improve engagement with consumers. They increase return visits and allow a comprehensive variety of online transactions, which includes the deployment of loyalty tickets, push notifications, and e-commerce transactions. Applications that offer coupons and send messages that develop your sales with consumers. Apps also stimulate communication with your business, which improves relationships with consumers in a society where rapid answers are appreciated by customers. Smartphone icons even assist develop companies by offering a visual design which consumers understand. Several entrepreneurs of small businesses still believe that building an app is costly and tough. They are bothered about the requirement to develop various apps for the various platforms that their users or customers are on such as iOS, Android, Windows, Blackberry, etc. They are not quite sure about developing dynamic or static applications, and the hard part is coming up with a perfect app design. Furthermore, many of the small business owners don’t even have the required experience to develop apps by themselves. Some fresh organizations are optimizing the process of building and testing smartphone applications, placing the tools efficiently in small business owners’ affordability. Of course, small businesses have to test their applications to make sure that they are working fine on all platforms and major mobile devices. A recent study shows that the users are 42% more likely to uninstall apps which have errors and bugs. For a much better understanding, here are our 5 top reasons for to get a mobile app done for your small business. According to a survey done by Clutch, a B2B research and review company, nearly 55% of respondents said that their applications were designed to improve sales. Applications can provide a much more comfortable means to browse and shop, letting customers make purchases from anytime, anywhere. Also, organizations can pick to let their customers know about the new deals, discounts, products & services, etc. A perfectly built app can offer your business a steady presence on consumers' smartphones, providing simply accessible data directly at their fingertips. The CEO of Bizness Apps said that such kind of steady presence can truly enhance the customer experience. A smartphone-friendly website and application are essential tools for any business. Of course, they both serve different needs of the customers. Websites aim at random people. While mobile apps are made for a better customer retention and help in engaging with customers all the time. They are more about rewarding your loyal consumers. Smartphone apps offer a strong spring of direct marketing. We give more attention to our mobile devices than to our PCs or laptops. After you download your application, your business is right there at the fingertips of your customers without having to search your business on the internet. Whenever they check their mobile devices, they can see your app right on their mobile device. This increases brand awareness. Regardless of the customer's location, you can send push notifications to them to market directly. A study says that nearly 35 to 65% of smartphone users open push notification and almost 45% engage with the app instantly after the notification. Make sure you blend your application with interactive content with engaging calls to action buttons on all pages and you have a dedicated marketing machine in your consumer's hands. Since there is a bright near future for wearable technology too, a good investment in an application can see your online marketing reaching an entirely new stage. As customers are becoming highly choosy about not spending their time on surfing and returning more and more to the applications and stores they want to spend their time on. If you have a small business and want to compete with your competitors in your market, then you must adapt to certain changes and uphold a powerful presence on smartphone devices. Small business owners need to know how smartphone technology can assist in running their businesses in a better way. Nearly 70% of millennials purchase products on their mobile devices, when compared to 54% percent of Gen Xers and 17% of baby boomers. Although retailers have all reasons to develop an application for smartphone, the functionality achievable on the mobile application is broad and diversified that there is a large possibility for other businesses to aspire to build a mobile app. Smartphone applications can be utilized for a wide array of activities. Right from daily exercise and nutrition to offering vouchers, receiving orders, presenting videos, sending newsletters, or planning a forum. In addition, they can be utilized by an organization's internal sales employees for B2B sales. For instance, just think that you are trying to make that sale by opening up your firm’s application on a smartphone or tablet and showcasing your products and services. Can it get any better than that? Mohammad is a tech writer and a passionate about mobile app and IT technologies, Mohammad writes about the latest technologies and custom software development and he has shared a lots of innovative ideas of Mobile App and android application development at various technology blogs.